While it’s definitely a lot warmer around here, we still have a few chilly days (and nights)…. so how do you keep warm while you’re wearing your new Rova? Why make a new cardigan, of course! A little over a month ago, I had plans to start Jalie’s Drop Pocket Cardigan – if you remember, this was the Pacific Blue Modal fabric from Joann’s that gave me sticker shock when I bought it (over $30 on sale). So, let me start out with the fabric….. it’s nice. Not only does it feel good, but it has fantastic drape and sews up fairly well (it is a bit “slippery” to work with, but if you take your time sewing, it is fine). It also has a fantastic ‘sheen’ to it. Unfortunately, when paired up with the fabric I used for the Rova, it makes the Rova material look cheap (and sort of like the two don’t quite go together very well). As for sewing, this cardigan pattern is one of my favorites…. it just looks great on and is fun to sew. Plus it has pockets that aren’t just functional, but are a design element. While it definitely has a dressier feel to it than the casual Rova I made yesterday, I can’t help but want to wear this all the time – I love the color so much! Fortunately, I was hanging it in my closet and discovered another dress (more on that next week) that it matches perfectly, too. This entry was posted in Uncategorized on May 31, 2017 by stacy. After what has been an incredibly crazy, busy start the summer, I’m happy to say that it slowed down just enough yesterday for me to sit down and sew something for myself. I’ve been itching to make the Rova since it was released so I decided that I would spend the day working on it. Quite a while ago I had set aside the Navajo print from my December knit fix for the Rova because I thought that it seemed to have the right vibe for this pattern. I will say that this particular fabric is a bit on the thin side – I think that it works for fine for this pattern because anything too thick would make sewing the bindings (around the neck, arms, and pockets) bulky, but otherwise…. it’s very flimsy and stretches out of shape easily (as evidence of my poor pockets that don’t lay nicely). As for the pattern itself, once again, Jalie has put together another great one. The Rova was easy to put together and fits well. However, I think that I’ll wind up taking this one up a bit more in the skirt – there is a lot of print going on and making it a little shorter might be easier on the eyes. I am also in need of a better tie. I somehow forgot that I would need one and wound up using a white shoelace when I put it on my mannequin. One thing that I will point out for construction is that I only needed one “square” for the continuous binding strip and not two as noted on the pattern (that may be due to careful cutting or just luck, but I thought I might point it out so you didn’t make too much in the end). Will I make this again? You bet! However, I think I’m trying this one without the pockets and using the elastic waist instead. This is a great casual look that’s perfect for my summer wardrobe. This entry was posted in Uncategorized on May 30, 2017 by stacy. If your family enjoys game night, then you’ll definitely want to check out this Card Kitty tutorial. 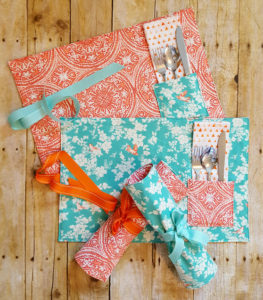 While you’re on the site, be sure to enter the Curly Girl Fabric giveaway, too! This dolman dress is easy to sew and is perfect for summer. Get ready for summer with this free racerback tank pattern! The best part? It has a huge size range from XS-XXL. Need something dressier? How about this pretty sundress? Don’t just bring a plain bottle of wine. Wrap it up in a quick to sew wine bag! Keep yourself organized while matching your decor with this pretty fabric bins, then keep the theme going with these extra-large laundry bins! This crossbody has a trendy Boho vibe and even has a fun, triple tier tassel. 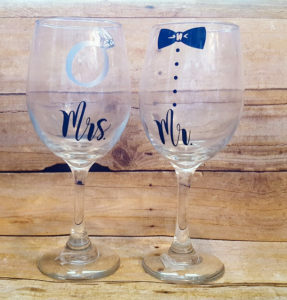 Have a Cricut? Grab this free “Sewers Gonna Sew” SVG and make your own sewing themed tee! 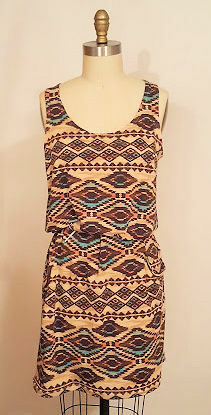 Love Cochella style shorts? Add a little trim and this is the perfect pattern to make a pair! It seems like almost every store has a loyalty card these days. Learn how to make a handy card holder that’s perfect for shopping or to carry business cards. Perfect for summer BBQs and picnics: a watermelon potholder! Create a striking summer shirt with this Twist Front Top. This entry was posted in Uncategorized on May 25, 2017 by stacy. Now that the wedding is over, I can share this beautiful dress. I can’t take credit for the design, but I did alter the bodice so that it fit the bride. I normally don’t volunteer to do alterations – especially bridal (because I don’t want to be the one who ruins the perfect dress), but she is my sister-in-law so I’ll make exceptions for family (plus the alterations were ones that I knew I could do without making mistakes). This was a vintage, custom made dress (you could tell because of the sewing) that was made in a taffeta with a lace overlay. From the looks of it, it had been altered a few times in the bodice already and, surprisingly, the zipper was in great shape. It took a few attempts to get the shoulders, bust, and wait to look exactly the way she wanted, but in the end, the fit was perfect. Overall, a good experience altering a wedding dress, but I don’t think I’ll rush to do that again – sewing for brides is stressful! This entry was posted in Uncategorized on May 24, 2017 by stacy. With all that I have on my plate right now, I told myself I was good on patterns (and mostly fabric) right now….. then I saw Greenstyle’s Moxi Shorts pattern and caved (I also picked up the optional compression shorts, because why not?). I haven’t ever sewn with this pattern company before, but I’ve heard a lot of good things about them. Since I tend to wear a lot of this style shorts over the summer, I couldn’t resist finally trying them out. But what really pushed me to get this pattern was this blog post (her shorts are featured on the left) – she made quite of few of these during testing in a variety of fabrics and gave the lowdown on what worked best, tips & tricks, etc. I liked it so much, I even picked up two of her recommended fabrics (the Nicole Miller Stretch Chiffon and Geometric Stretch Twill) both of which were on clearance (woot, sale!). Jalie also came out with a pattern hack for the their Vanessa Pant that transforms them into an adorable pair of jogger shorts…. after I finish sewing up a few of the items I have on my list, I think these will be next! This entry was posted in Uncategorized on May 23, 2017 by stacy. And just like that, school is out for the summer. In addition to signing memory\yearbooks, Easton’s class decided they wanted to autograph shirts. In a last minute rush to make something for him to wear, I decided to buy a “Last Day” file for the Cricut. Seriously, how did I ever live without this thing? I didn’t even have to make the shirt, I just make the iron on and called it good (admittedly, I may have been in too big of a hurry and it wound up a little crooked, but I’m not sure anyone really noticed). Now that summer break has officially started, I’m off to the sewing room to finish a pattern I’m testing – more on that after the big release(s)! This entry was posted in Uncategorized on May 22, 2017 by stacy. The other day I had mentioned that I was starting George & Ginger’s Vacation Dress for a wedding reception this weekend…. and today I present the end result! Overall this dress was very easy to put together, but the fabric? That is another story. This was my first time sewing on Liverpool – the best way to describe it is a textured knit that sort of resembled a crepe. It has great stretch, but this particular fabric really wanted to stretch out of shape. Unfortunately, there is a wavy part along the white trim that I couldn’t quite tame – it looks fine when worn, but I think it’s still noticeable. Needless to say, I will probably not be sewing with this fabric again. As for the pattern, it’s super cute. I can’t see myself making a ton of these, though since it is such a distinctive style (it would be fun in a cute, tropical print). But this dress is perfect for the weekend. This entry was posted in Uncategorized on May 19, 2017 by stacy. Learn how to transform the Classic T pattern (which is free!) into a cute midi dress. These animal buddy blankets would make an adorable baby gift. With all the kimono tutorials that I’ve been seeing out there, I’m going to have to break down an finally sew one. I’m not normally a bug fan, but I love them on pillows! Learn how to make an embellished throw pillow and then sign up to win this Anna Griffin fabric bundle! Looking for an easy to wear summer look? Be sure to check out this adorable cropped tee (trust me, it’s not that cropped!). A cute little pouch tutorial that uses up fat quarter scraps, plus links to a toiletry set that matches it too! With having a wedding to go to this weekend, I thought I might need a matching clutch to go with my dress… maybe this one? This kid’s hooded robe is perfect for after a soak in the tub or just out of the pool. Give new life to a boring sweatshirt, make it a zipup! And while you’re visiting this tutorial, be sure to check out my Upcycled Denim Apron tutorial that appeared there this week! Believe it or not, today is out last day of school. If you’re scrambling for last minute teacher gifts be sure to check out this fun, end of year fabric gift tag. Never use a boring flower pot again, plus they can even match your decor! Just use your favorite fabric and a bit of Mod Podge! Just because your placemats get dirty doesn’t mean you have to wash them right away…. just flip them over with this reversible placemat tutorial! This entry was posted in Uncategorized on May 18, 2017 by stacy. 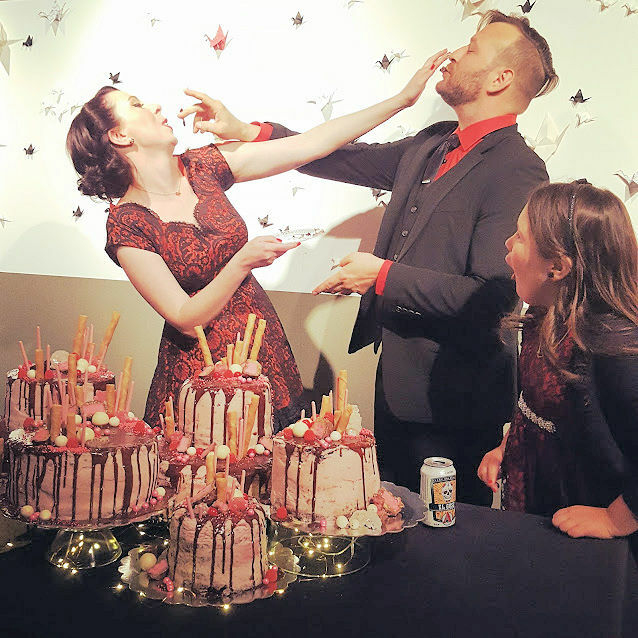 As you may have gathered from yesterday’s post, we have a wedding reception to attend…. which means, I need a dress! Originally, I had hoped to make a design from the most recent issue of Burda Style magazine, but the material I had originally ordered for it was delayed in shipping (because one of my other fabrics wasn’t in stock until later in the week) and it wound up being a 1/2 yard shorter that what I wanted. I took it anyway because I loved the print, but I may still be able to eek out the dress I want in the yardage that I received. Since my original plans didn’t work out quite like I had intended, I decided that I needed a new plan for a dress. I happened to see the pattern designer for George & Ginger post about her latest Vacation Dress and I knew it was perfect. Plus, the pattern was on sale, making it an even better idea! I wound up ordering the same style of fabric that she used (Liverpool) and now have everything ready to get started. Here’s a few quick details about this project. This entry was posted in Uncategorized on May 17, 2017 by stacy. Yesterday I spent the day putting together my sister-in-law’s wedding present (nothing like a little last minute sewing, right?). They didn’t have a registry so I tried to come up with something unique and wound up with the idea of putting together a picnic basket. They live in an area that has beautiful spots to hang out in and I can see them taking advantage of it this summer. 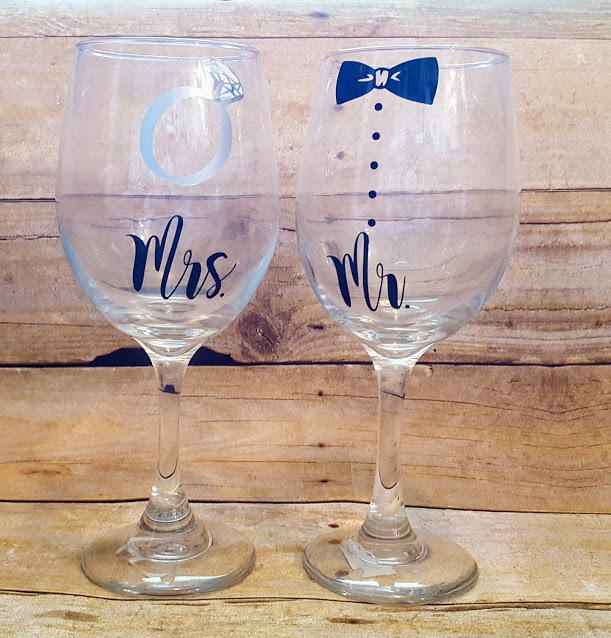 The first thing I made them were some fun wine glasses. I had seen something similar online and recreated this in design space. It’s a shame that the photo doesn’t show that I used a holographic vinyl for the ring because is sparkles like a diamond in the light! I also whipped up a personalized water bottle for their daughter to take with them too (I forgot to snap a picture). Next, I made the Picnic Placemats that I had mentioned a few weeks ago in a Linky Thursday post. 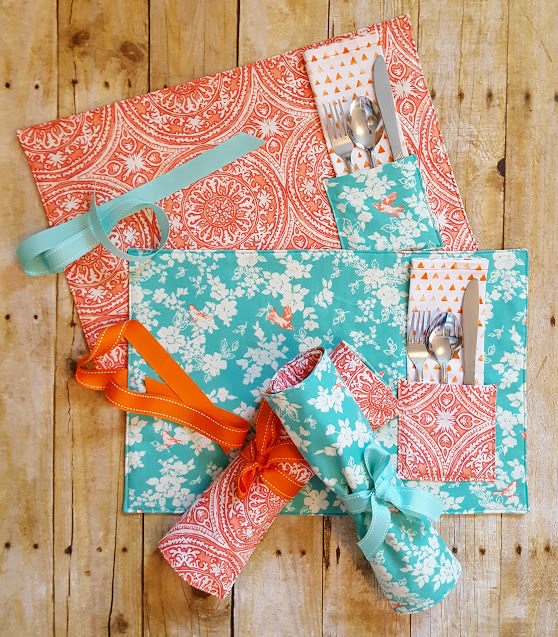 I was very excited to work on this project because for quite some time I have been itching to make placemats with a pocket for silverware. With that said, I did have a bit of sticker shock when they totaled up my fabrics\notions for this project: everything was on sale (or I had used a coupon) and it still came out to $34.50. I honestly thought that this would come out to under $20, but I realize that it is still cheaper than buying napkins and placemats from a store (plus they wouldn’t roll up and wouldn’t be in the color\style I wanted). The other thing that surprised me is how long it took me to make them. It still only took a day, but I thought that it would be a much faster sew (I blame the napkins and the fact that I had to go back to the store for more ribbon). Overall, this was still an easy project to complete and I love the results…. however, if I make this again, I’ll be a little more aware of the time and cost it takes to make them! This entry was posted in Uncategorized on May 16, 2017 by stacy.